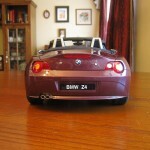 Kyosho’s 1:12 BMW Z4 has to be one of the most underrated models I’ve ever seen for the money. 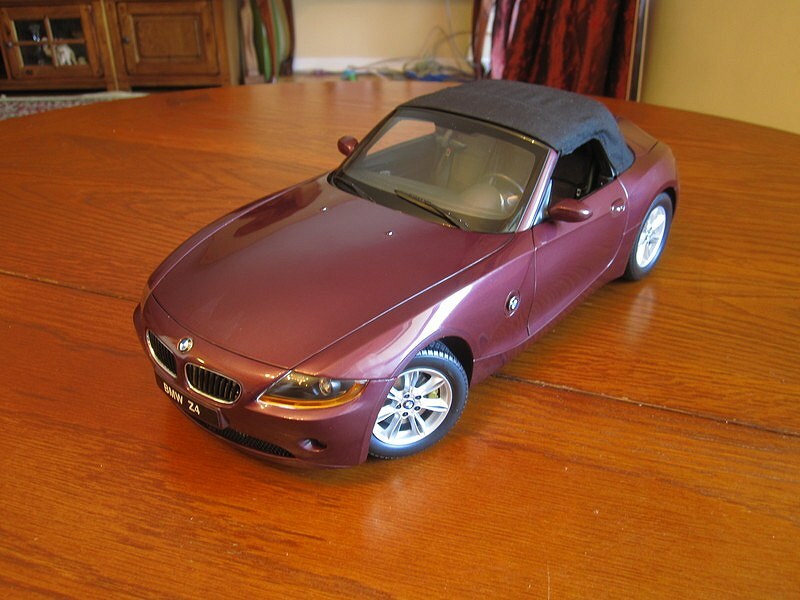 Done in a very tasteful shade of purple, and with a retractable, 100% functional rag top, it’s a cool tribute to the Bangle era BMWs. 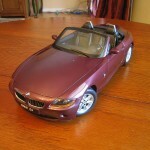 Though the drop top is definitely cool, a convertible is best displayed as a convertible. 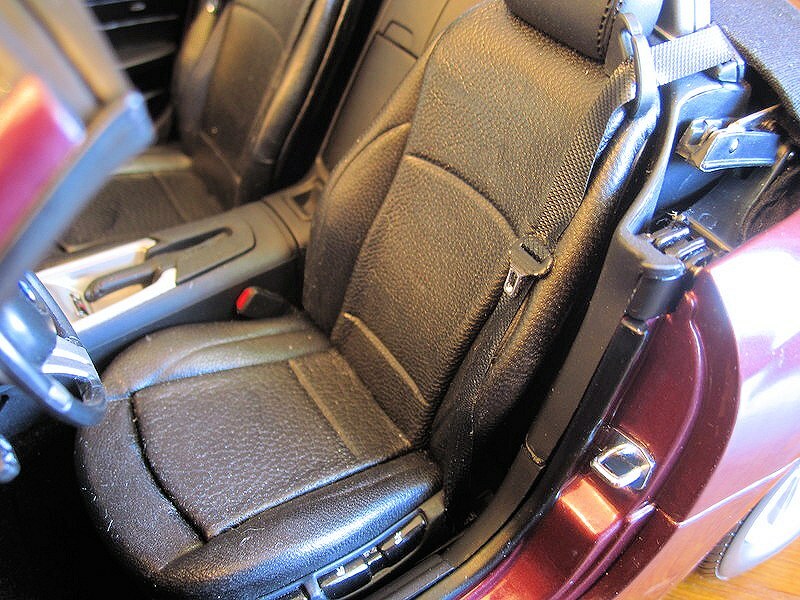 This gives you access to the very sharp interior, with realistically textured seats. 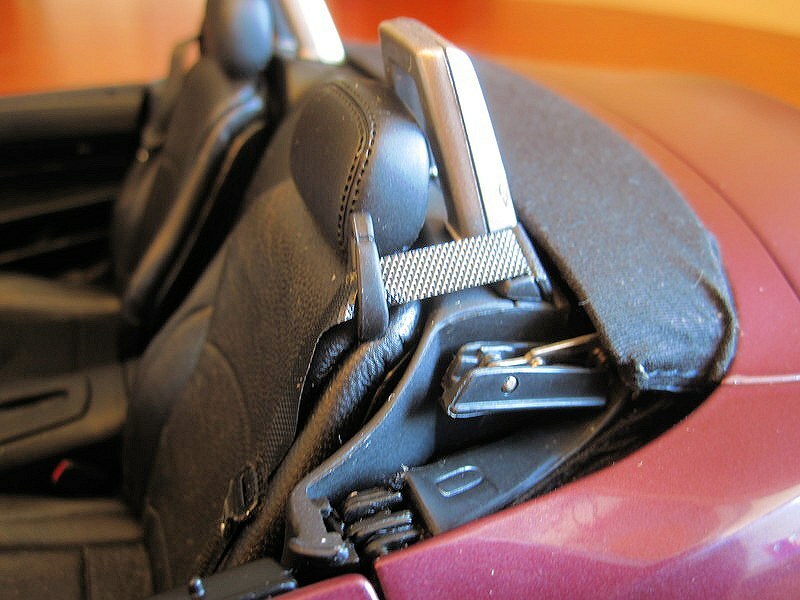 Look at them and tell me they don’t look exactly like leather. 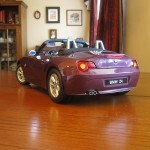 The stance and overall shape are great, and the model comes with two pieces of luggage, which look very neat. 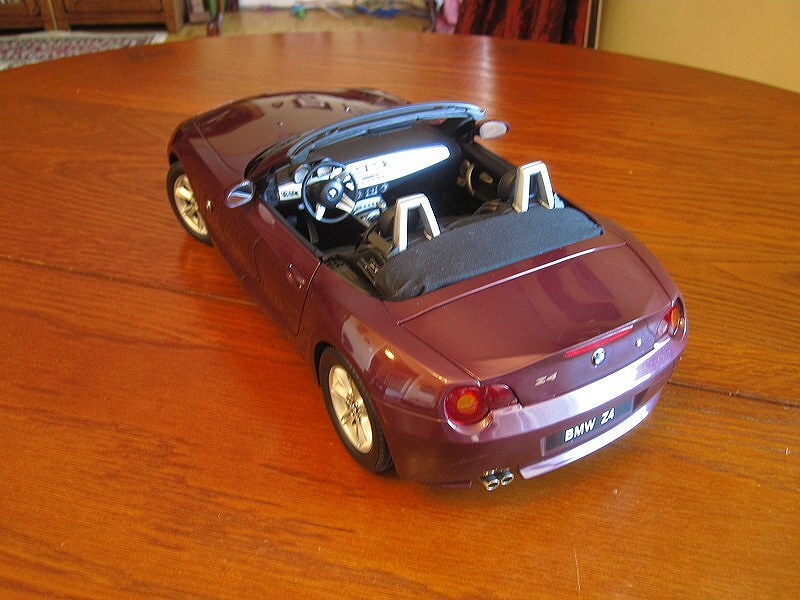 The retractable top is definitely a cool feature, and is a pleasant surprise at this price point (the model is $189.99 CDN, or $142 USD at www.tomotorsports.com). 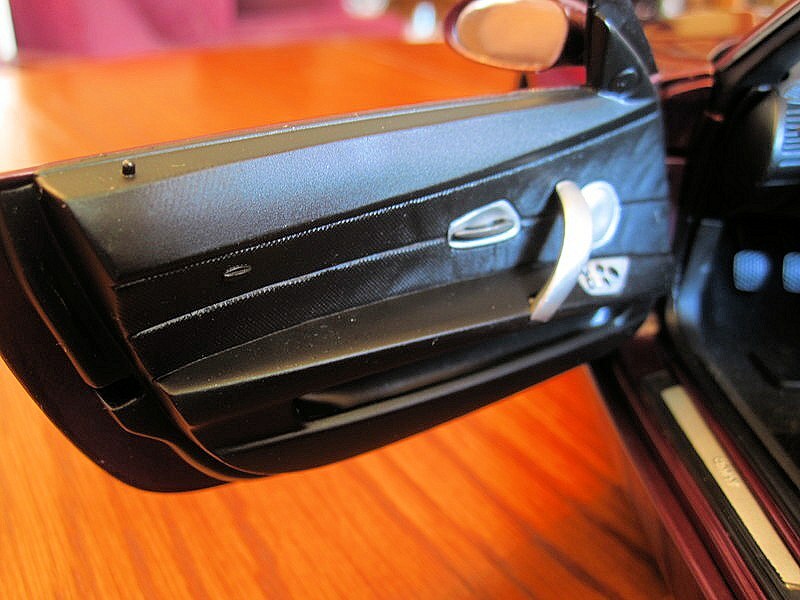 It is clipped into place when retracted. 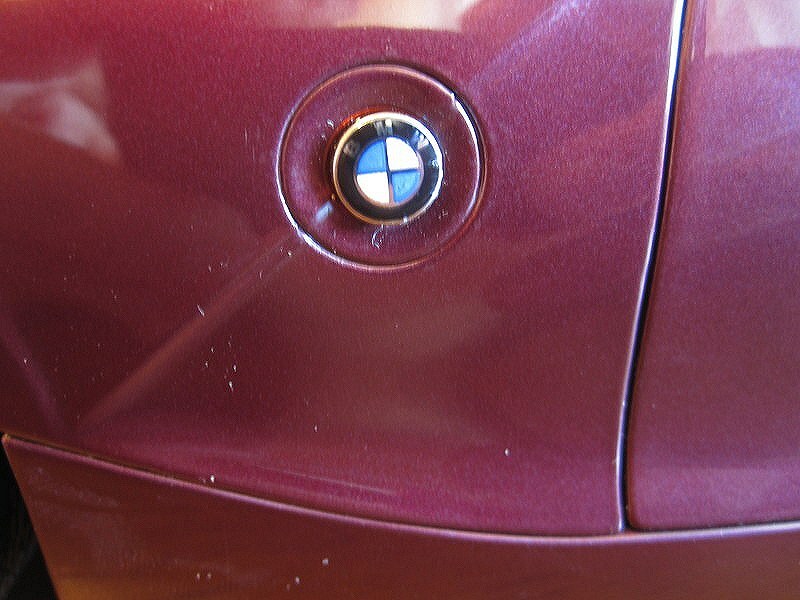 To pop it open, all you have to do is unclip it, pull it towards the front window frame, and clip into the two crevices there and voila! 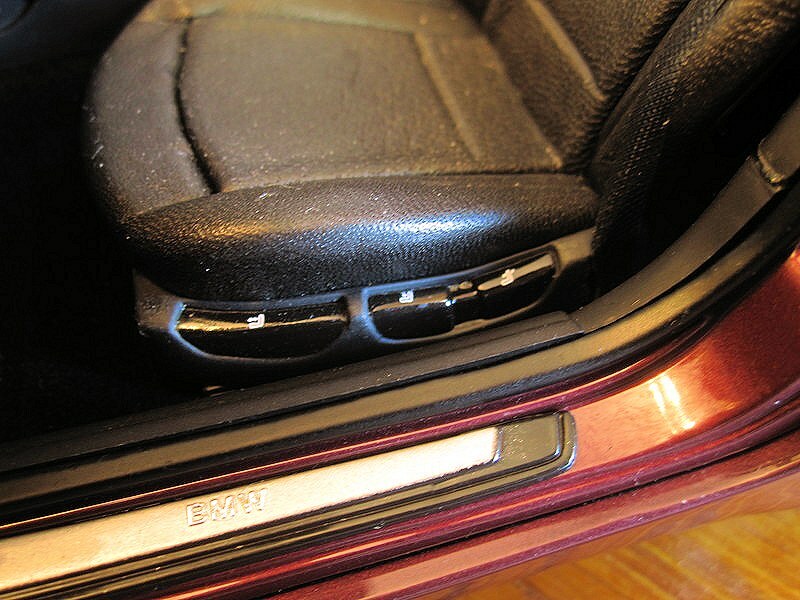 I love the hinge workings and how neat the top looks when stowed away. 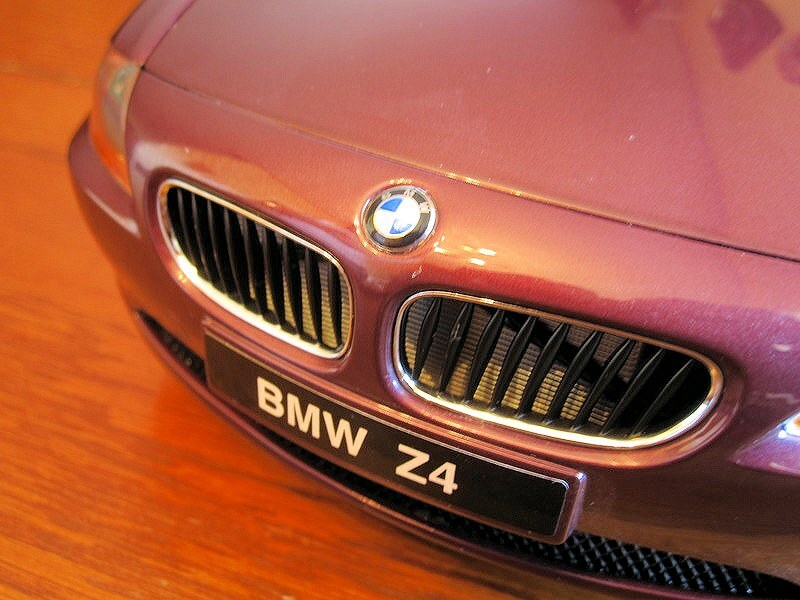 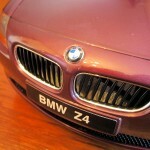 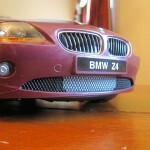 The rest of the model is very well done, with mesh grilles and crisply executed BMW logos. 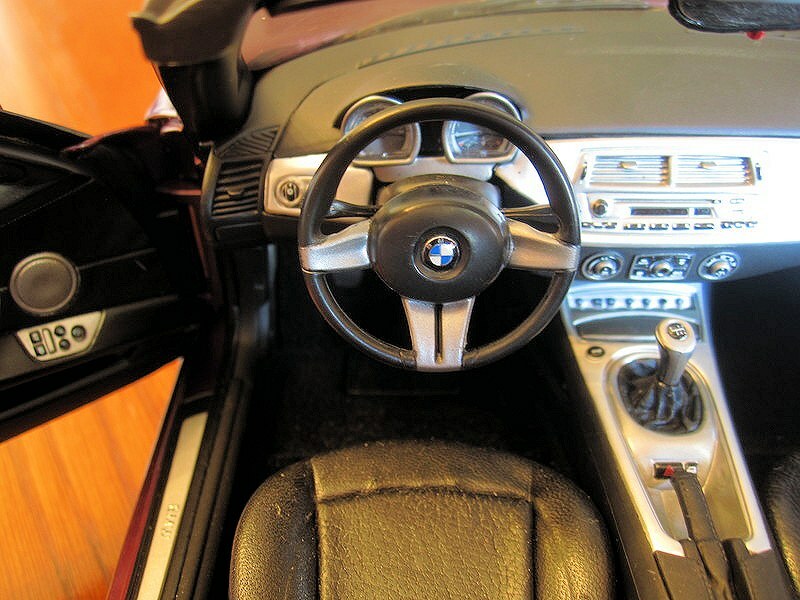 The interior is great, the gauges look glass-faced, and all the other detail is sharply done. 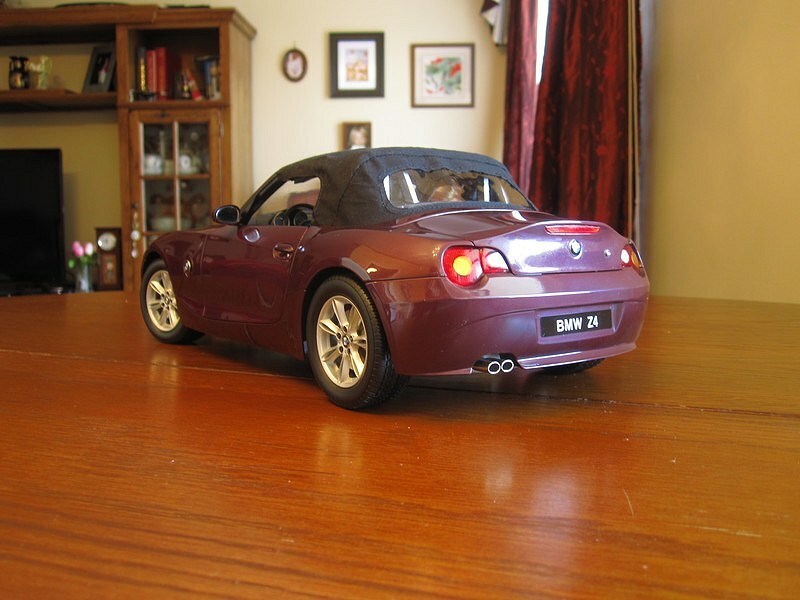 All in all, this is a very good model, which can be had for the same money that would buy you an AUTOart Millenium nowadays, which has to be the deal of the year. 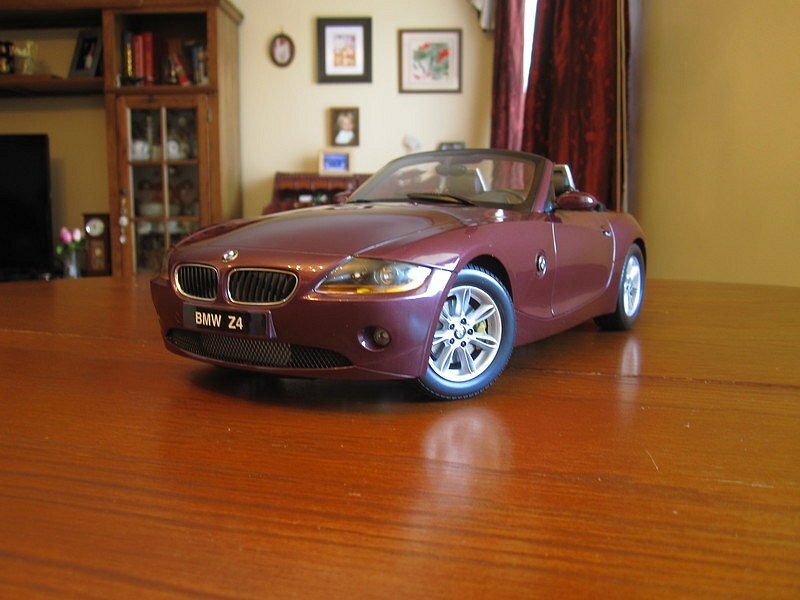 Pick one up to add to your 1/12 collection, and you won’t be disappointed. 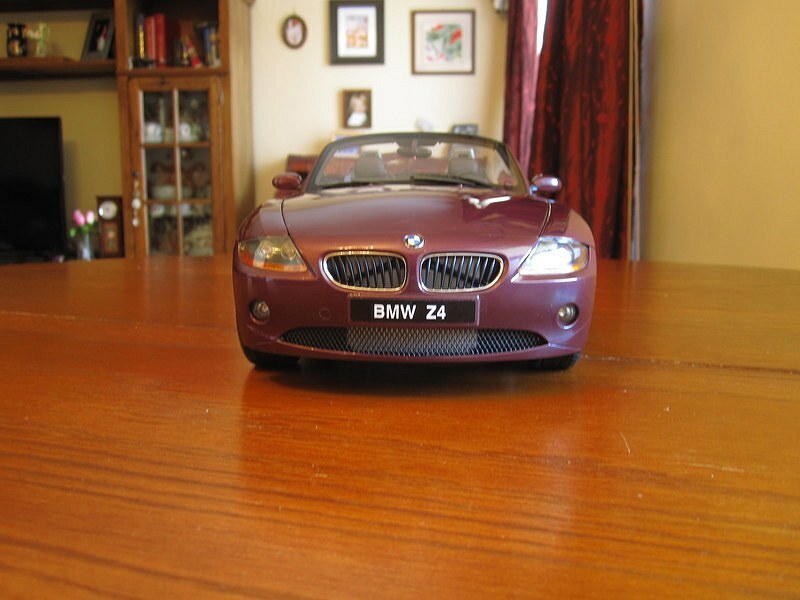 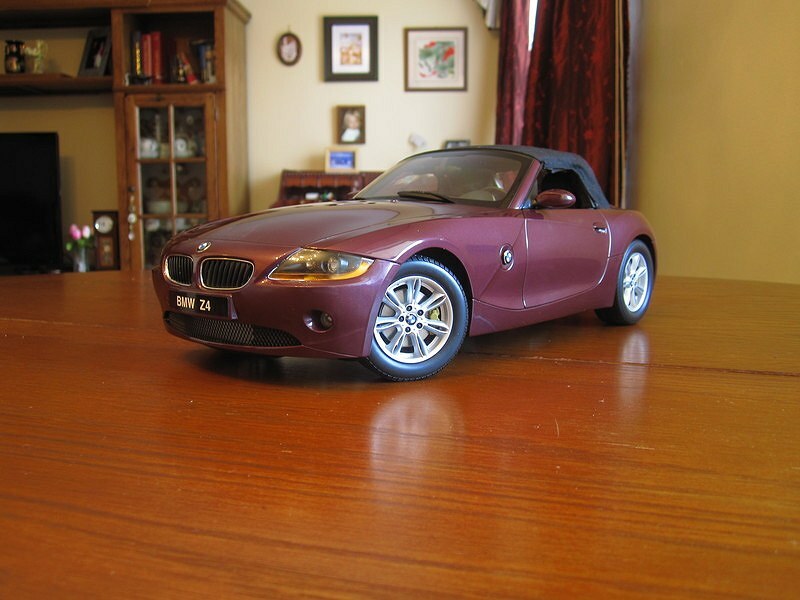 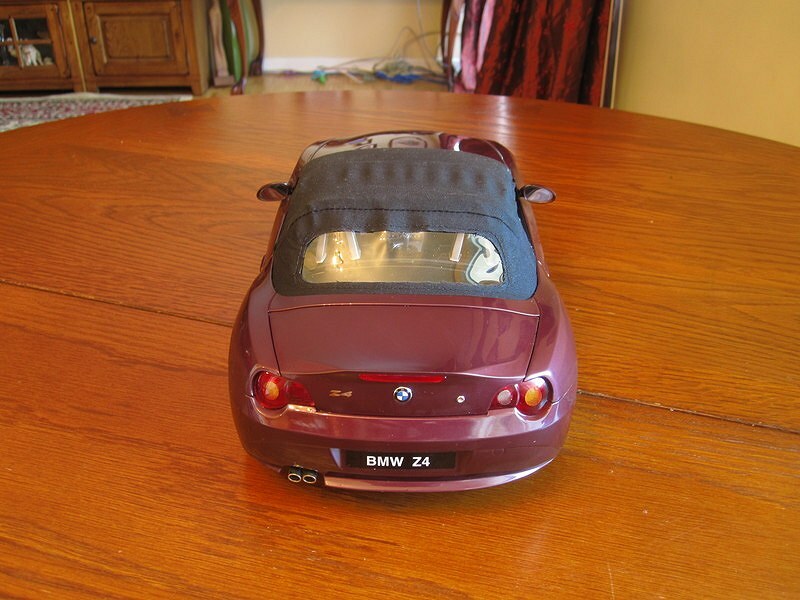 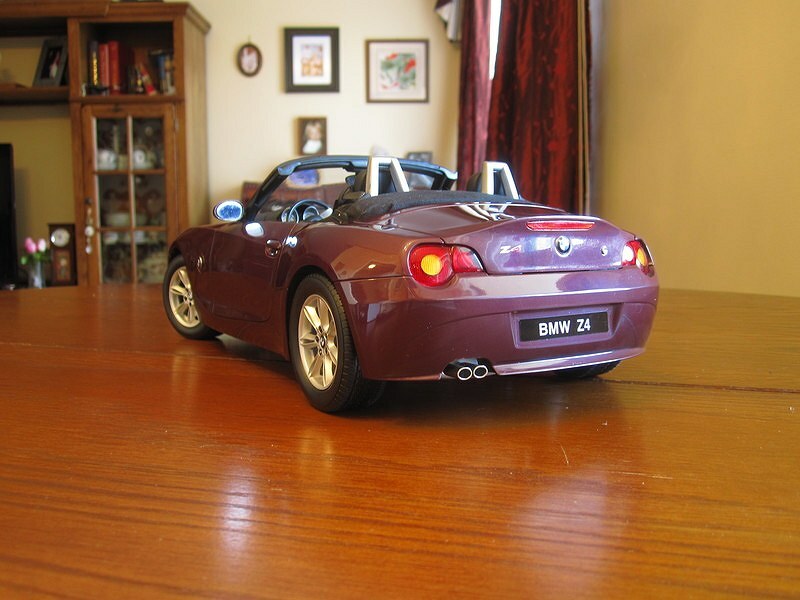 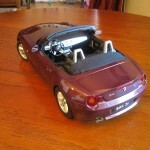 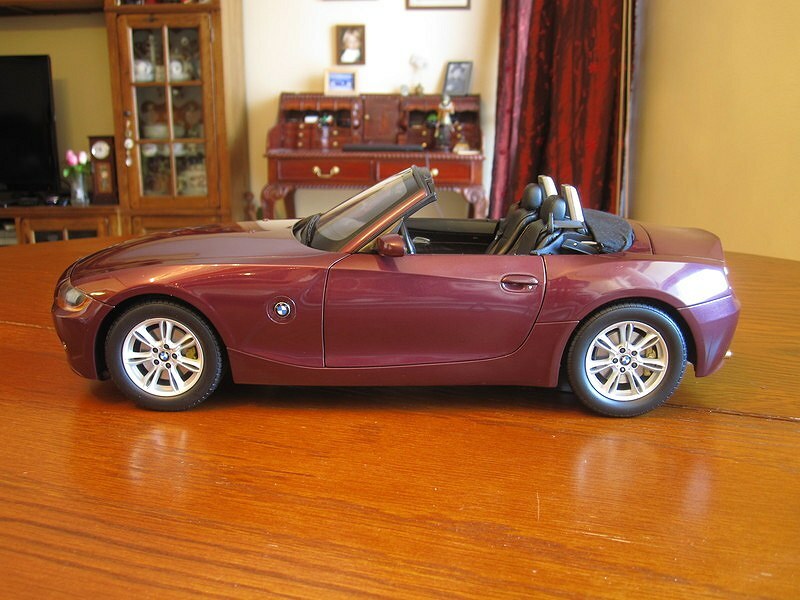 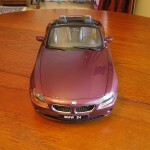 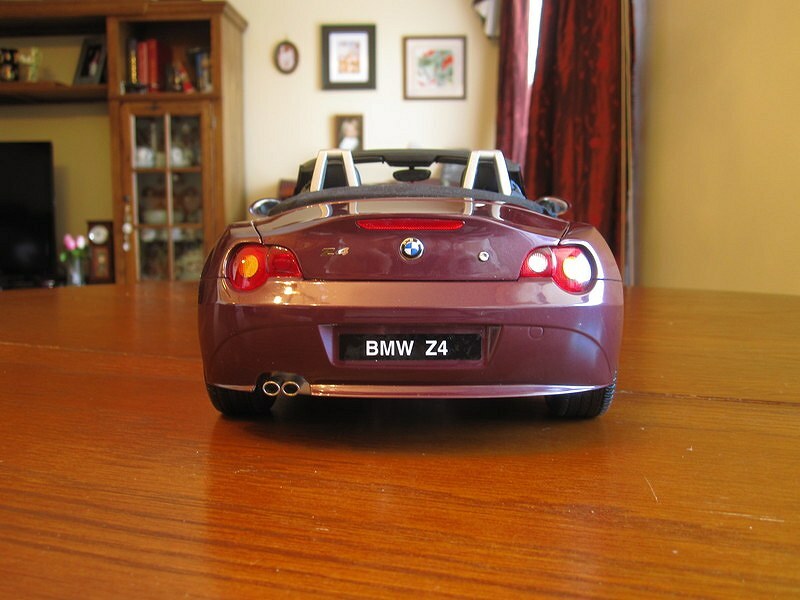 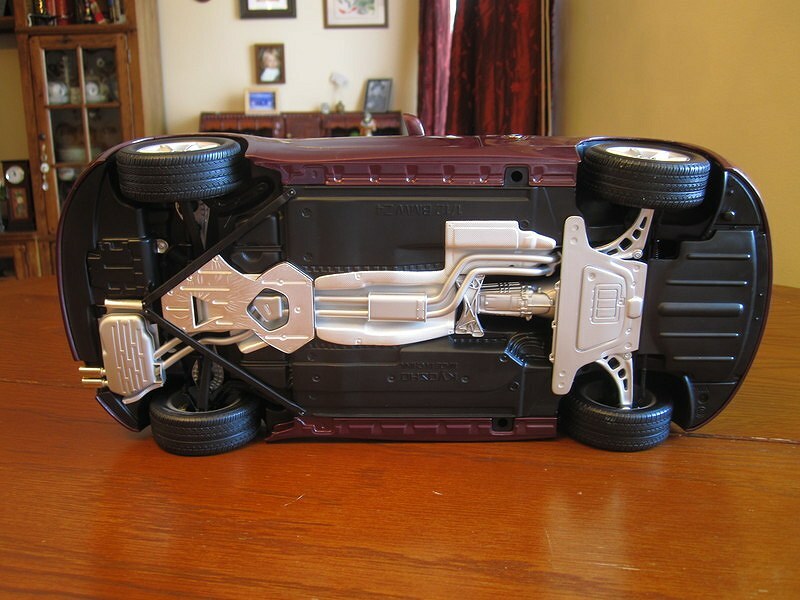 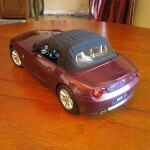 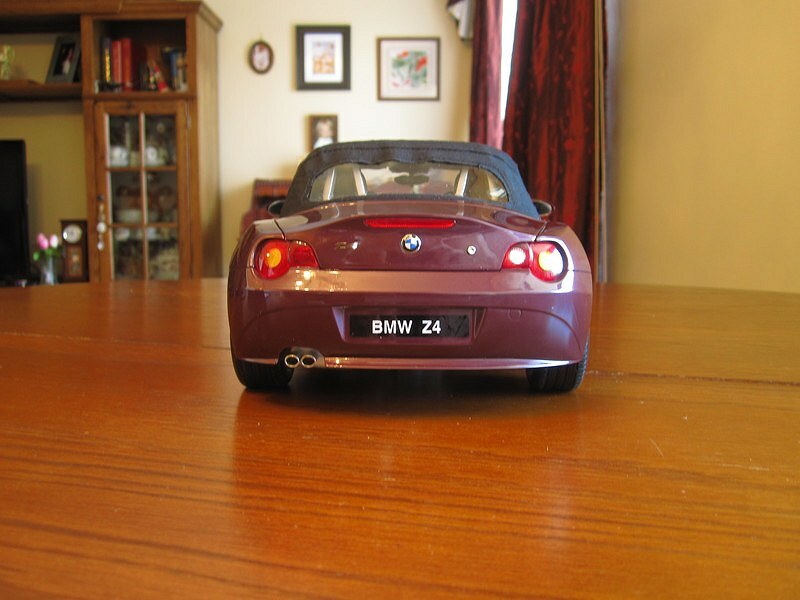 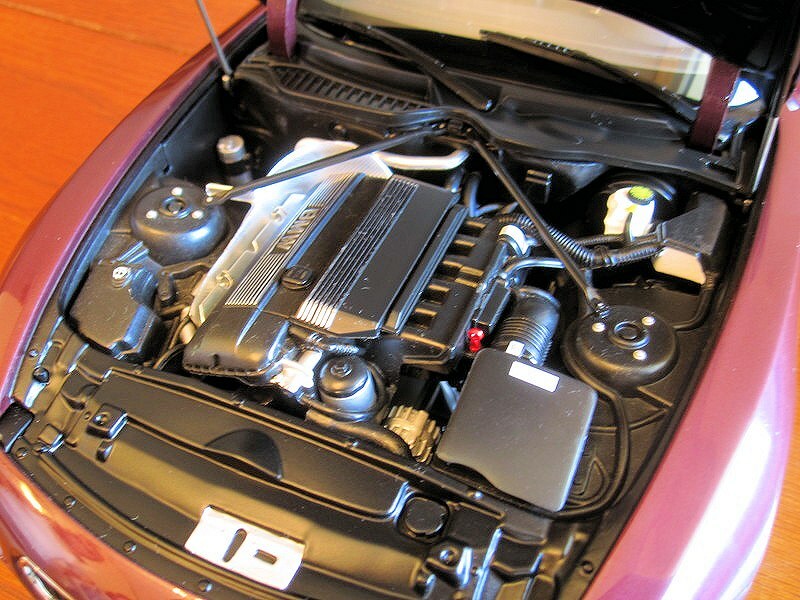 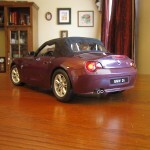 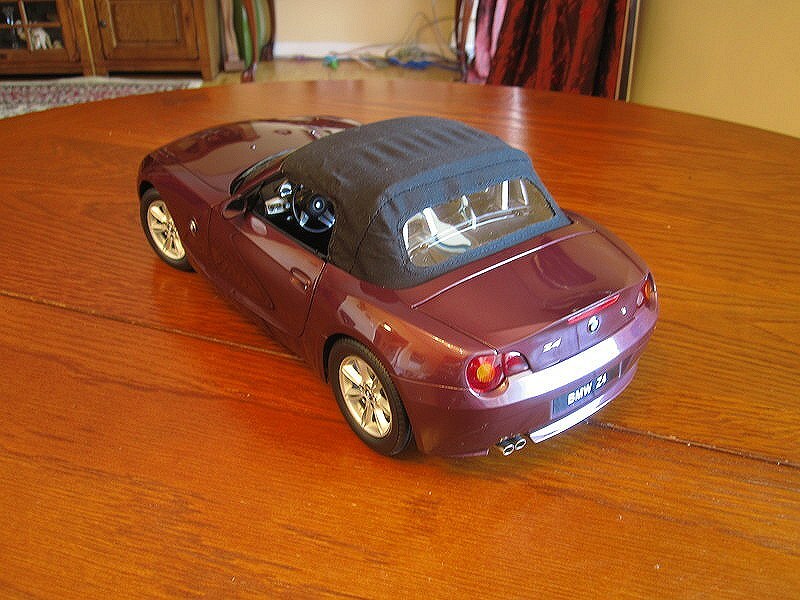 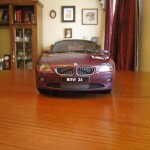 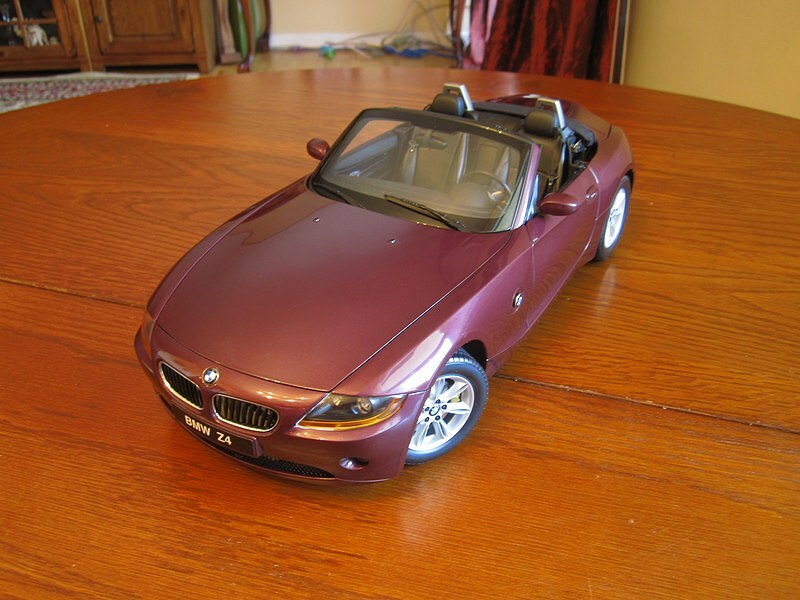 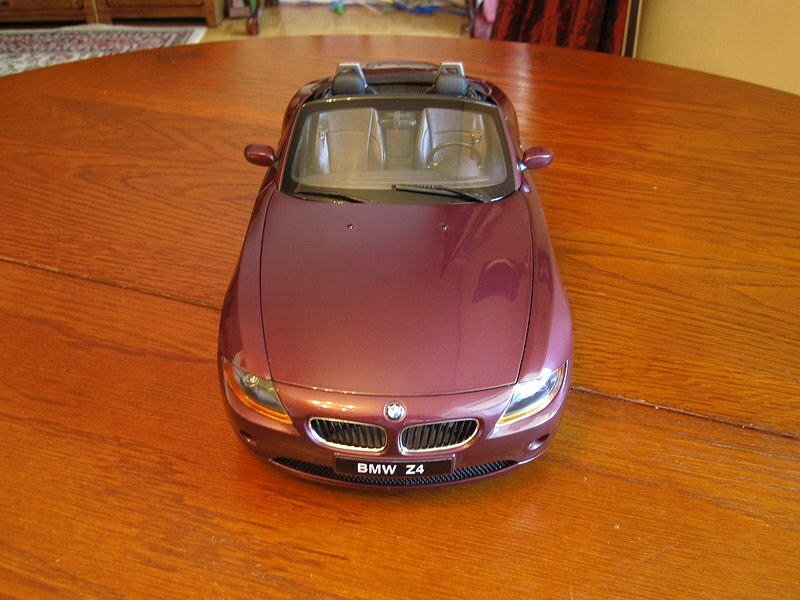 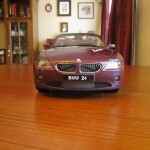 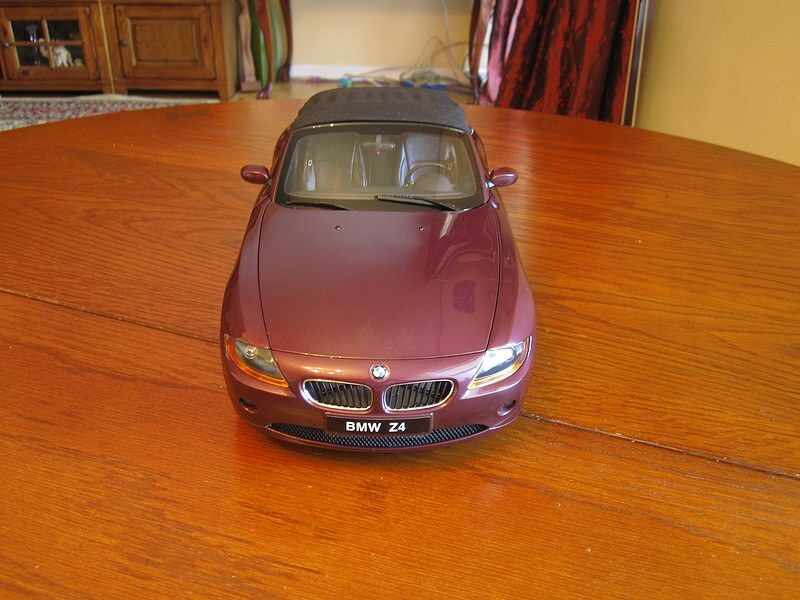 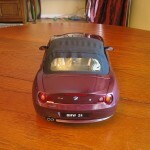 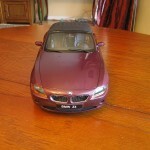 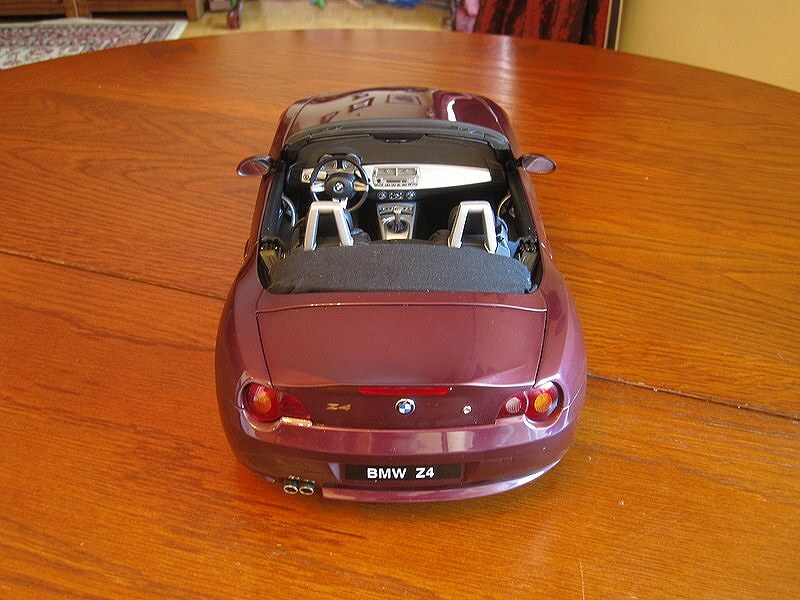 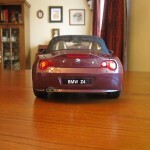 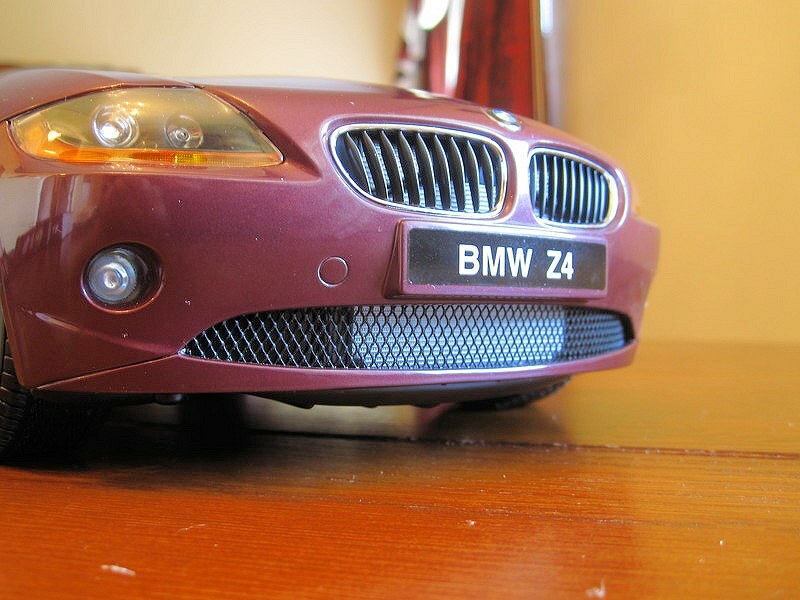 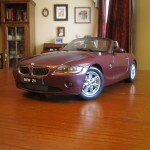 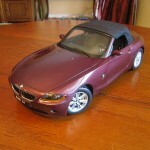 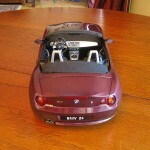 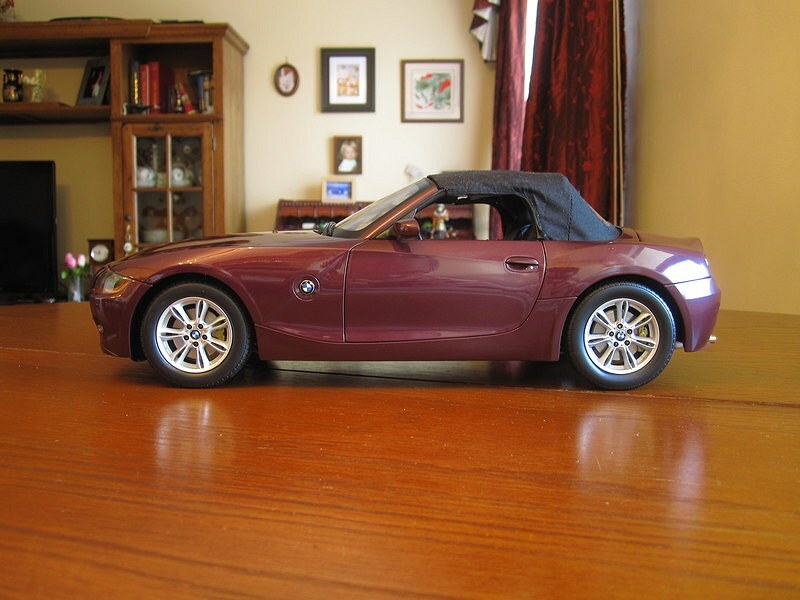 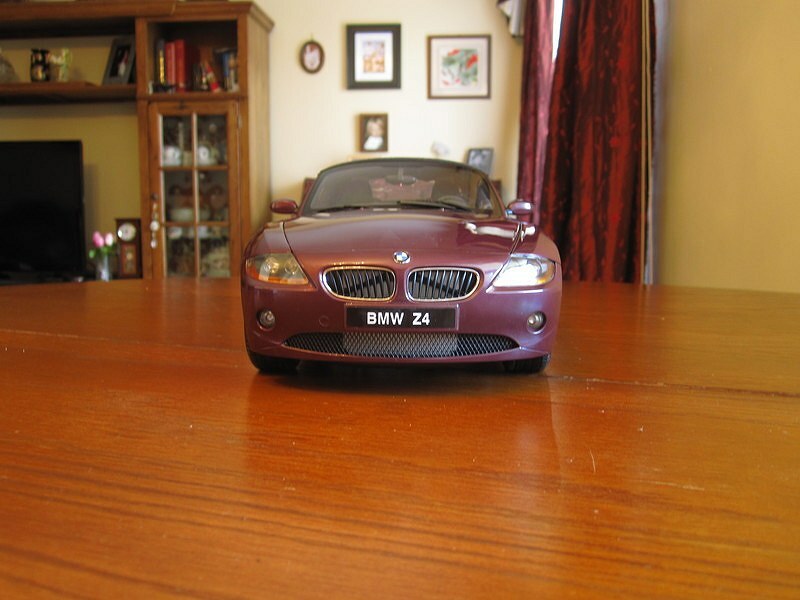 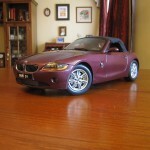 1 Response to "REVIEW: Kyosho 1:12 BMW Z4"
I have this model (and I drive a Z4). 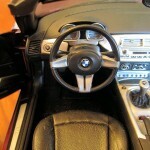 The interior is quite nice. 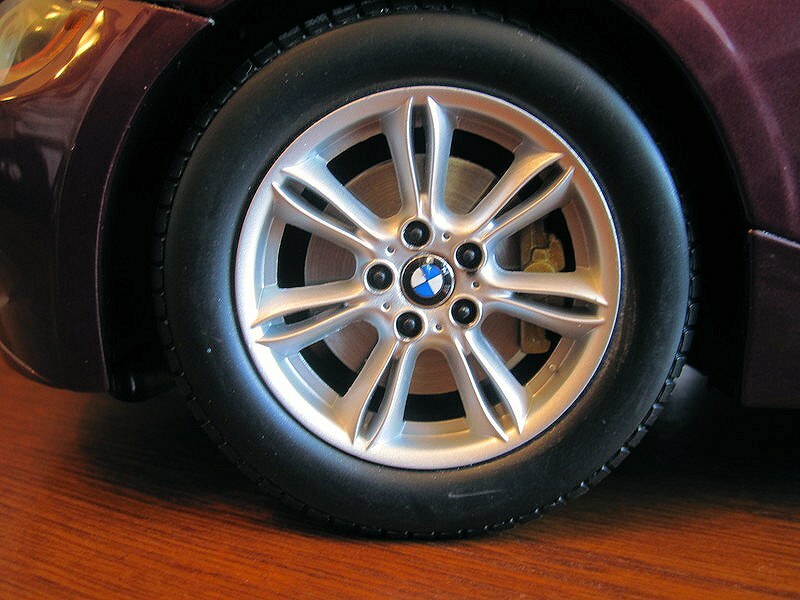 It’s a shame that they didn’t model the 18″ wheels. 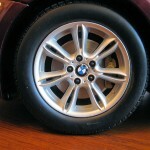 These are the 17″ wheels, and they just don’t fill the wheelwells like the 18″ do. 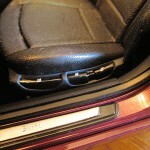 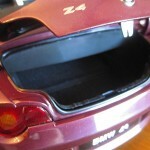 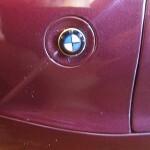 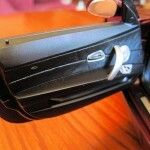 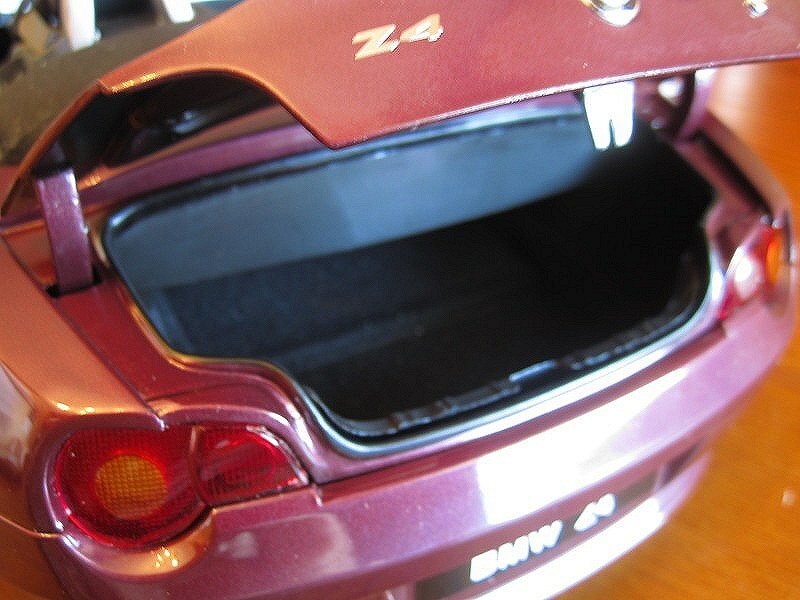 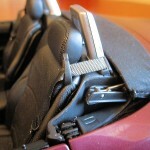 and, not to be overly critical, as it’s a nice model, but the Z4 has a glass rear window, not plastic, like the Z3 had.